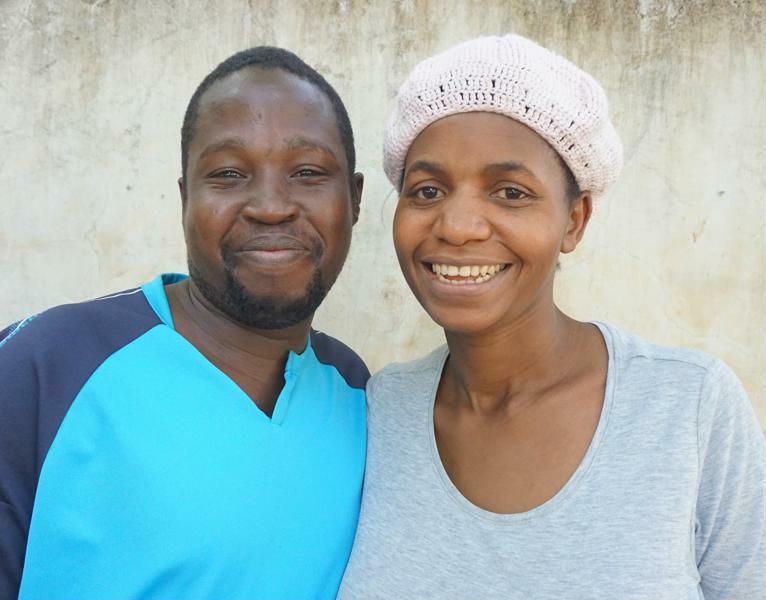 About the operators of Hope Home – Sarah and Joseph – Weltherz e.V. 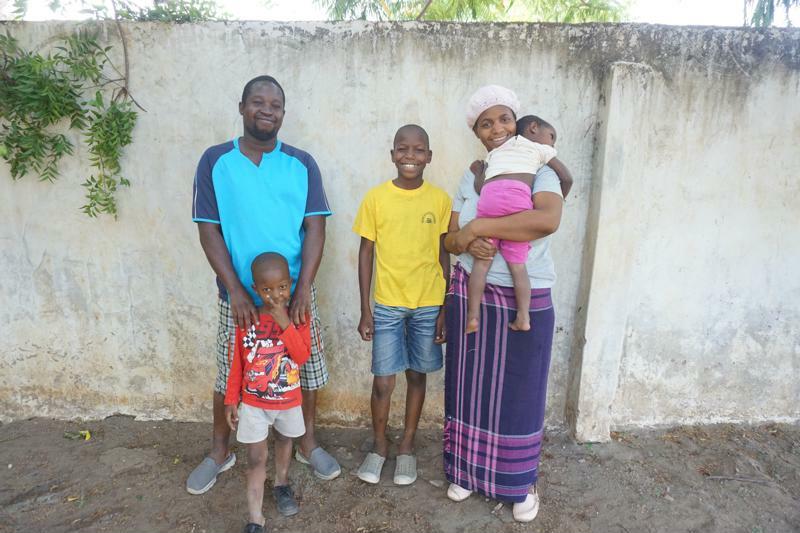 „I, Joseph, came from Tanzania and was raised by my single mother after my father left our family. My mother worked on a farm and looked after us very lovingly until she died of tuberculosis when I was 12 years old. I was left alone with my brother, 14. We were taken in by one of our aunts, who unfortunately had alcohol problems and abused us severely. My brother and I fled together as minors to Nairobi, Kenya, where we lived together with other homeless children and young people in the streets and collected bottles and cans during the day to recycle and sell at the market. Nevertheless, we mostly suffered from great famine. In the other homeless children I had found a family and allies. I separated from my brother and wandered aimlessly through the streets and cities. I was not interested in education because I had learned to take care of myself. One day, when I was trading at a new market in Kenya called Oloitokitok, near the Tanzanian border, I met Sarah and we immediately got along very well. She sold second hand clothes and I helped her to transport her goods every day from then on. For this she paid me a small amount. She bought me food, and over time we became friends. Sarah’s great wish was to go to school. She told me that her stepfather refused to give her an education. He thought it was a waste of time teaching a girl. Her mother herself did not have the necessary funds to pay the school fees. Sarah also had to take care of her two younger brothers, or she would experience the anger of her stepfather, whom she feared very much. After our friendship had lasted for several years, Sarah, who also comes from Tanzania, had to return home after her two brothers had finished secondary school in Kenya. As she was the only person really close to me, I followed her to Arusha. I longed for a family and familiar surroundings again and was grateful that I was allowed to live with Sarah’s family from then on. While I was working as a “janitor” for them, Sarah went to the market every day. There, I accompanied her daily and could observe how good she was to the children and how she took care of them. Every day little homeless children came to Sarah and asked her for help. She bought them food and gave them clothes to wear. With her last money she paid the fees for an English course for me. One day in 2008, when we found two small children sleeping under a bench, we took them to the nearest police station. A social worker asked us to take the children in temporarily until they would find their parents again. No one came looking for them. So they remained in our care. Sarah decided to open a small preschool for disadvantaged children, and most of the children we knew from our days at the market came to school. At that time Sarah was pregnant with her first son David. David’s father denied fatherhood and Sarah’s stepfather kicked us out of the family home. With our last money we rented a small two-room house, in which we took in 25 street children. I took a job to earn money and pay a teacher for the children, and Sarah went from church to church and from organization to organization to ask for food and rent support. Now that we felt like a family with all the children, we decided to live as a couple, as this was the only way to get permission from the government to care for the children. Otherwise the children would have been forced to live on the streets again. Since we often lacked the necessary money for the rent, we were forced several times in the following years to move with all 25 children. Together with social workers we agreed due to our financial difficulties to find foster families for the majority of the children and, if possible, to support these families financially in acquiring school uniforms and materials. Nevertheless it often happens that the children have to return to us because of the difficult living conditions in the foster families. Meanwhile, Sarah and I live happily and in love together as a couple with David, Sarah’s son, and our two children Pastor Joseph and Maya and run the orphanage “Hope Home”. We care for the orphans and half-orphans who need our help. We live together with the children under one roof. Thus, we are a big family with a lot of hustle and bustle round the clock. All children get along well, take care of each other and also support us in the household, when and where they can. Our greatest effort is to enable every child to attend school and receive a good education. We are very faithful Christians and educate the children in the faith that gives us and them support.